Howlin' Wolf Records: SIX STRINGS: Hero Complex Gallery Los Angeles Celebrates the Release of American Horror Story Freak Show with an Exhibition of Fan Art Inspired by the Series! 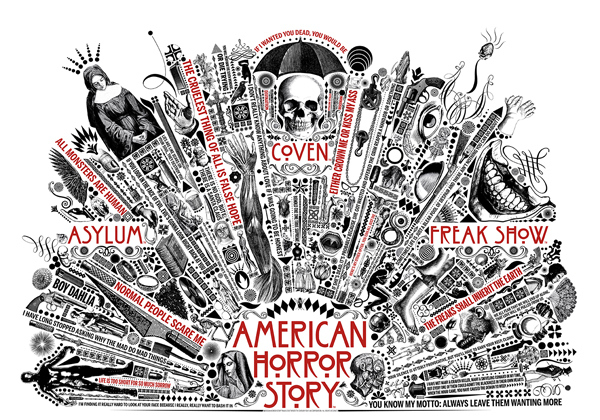 Hero Complex Gallery Los Angeles Celebrates the Release of American Horror Story Freak Show with an Exhibition of Fan Art Inspired by the Series! 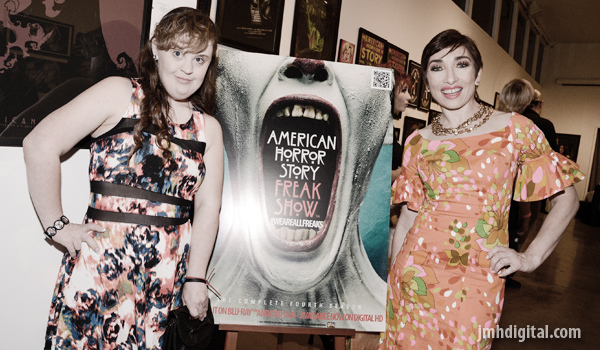 On Friday, October 2, Fox Home Entertainment partnered with Los Angeles-based Hero Complex Gallery to host an immersive, opening night reception for an “American Horror Story” fan art gallery celebrating the Blu-ray and DVD release of “American Horror Story: Freak Show” on October 6. The gallery--which runs through October 18--features more than 100 originals, prints and sculptures from American and international artists, all inspired by all four seasons of the horrifying FX anthology series.